YOU CAN READ THE RECIPE BELOW OR SCROLL DOWN THE PAGE TO WATCH THE ACTUAL VIDEO!!! 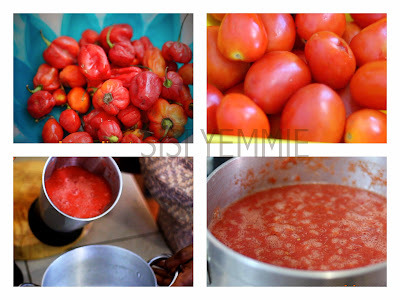 The first step is to wash your tomato, pepper and onion. Blend tomato, onion and pepper, according to the desired quantity; my stew is always extra hot so I add more pepper than most people and I mostly blend a whole onion. Pour the blended mixture in a pot and boil. Boil the mixture till it is as dry as possible. When you’re satisfied, pour it in a tight sieve to drain any excess water. This is to ensure that the stew is dry and fries quickly. 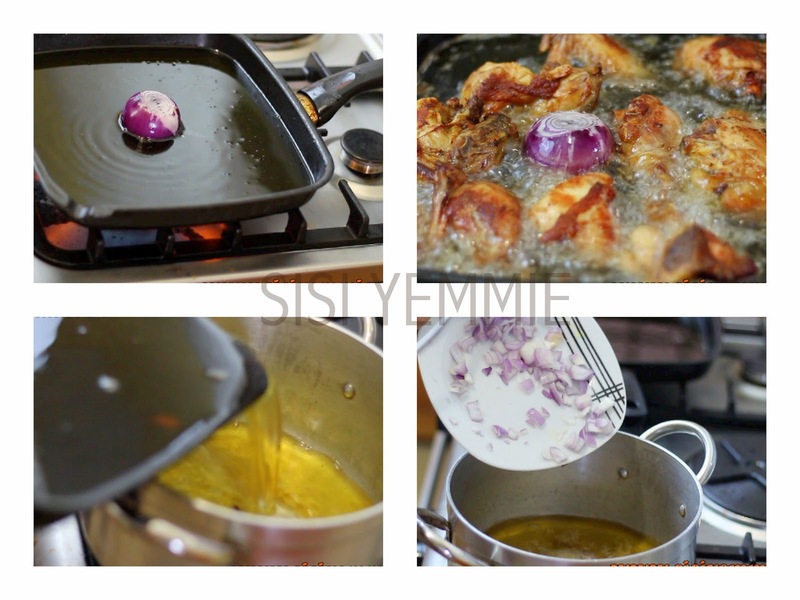 When chicken is cooked, I heat a pan of oil, I peel a small whole onion and drop it in the pan. 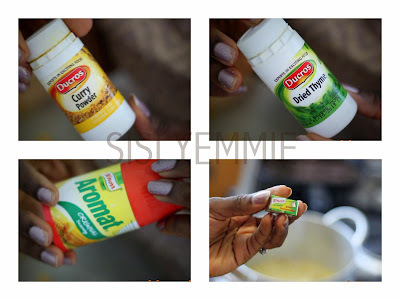 I always do this when frying beef or stew, the aroma is ooo la lacious! Try it! After adding the onion, I add the chicken and fry. 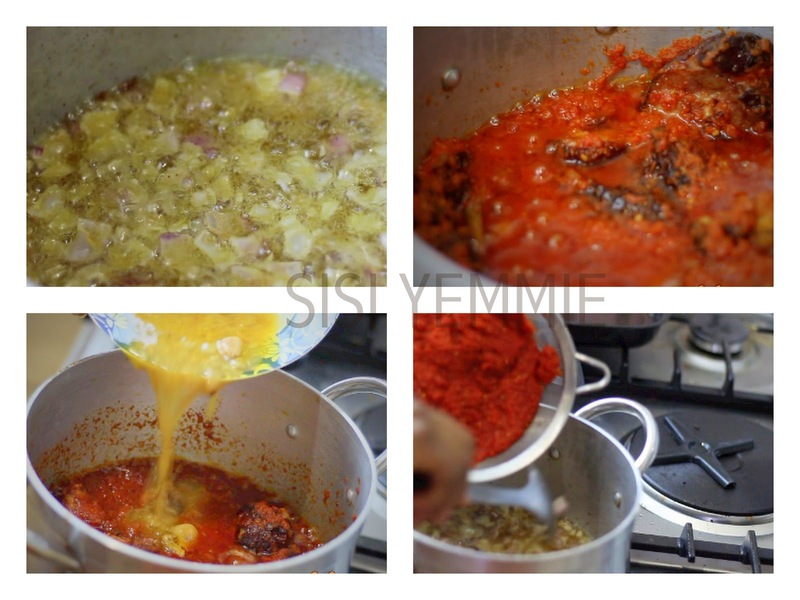 Heat the pot you will use for cooking the stew, add the oil used in frying the chicken/beef, add chopped onions, add a cube of maggi/knorr and some curry. The aroma this produces for your stew is amazing. Your neighbours will start knocking your door. When the onion is fried, add the tomato mixture and stir continuously. Now reduce the pressure of your cooker because it is best fried on medium heat. The stew does not take long to get ready when you start frying, probably an extra 6 minutes will do. Keep stirring, make sure it does not burn; this is not party jollof rice. DO NOT add salt or any extra spice so that your food is not over salted. Remember, at the end you are going to add the chicken stock to the stew, which is already spiced. After it has stewed a little, I add the beef/chicken/turkey and allow to keep stewing. I do not cover the pot at all in this stew process. Taste to see if it is as cooked as you like, and then lastly add the beef/chicken stock and mix everything together. Taste for salt, if you need more, you can add at this point. However, I never need to do that. Turn off the stew and allow to simmer. You can serve it with Rice, Yam, Beans, Dodo. 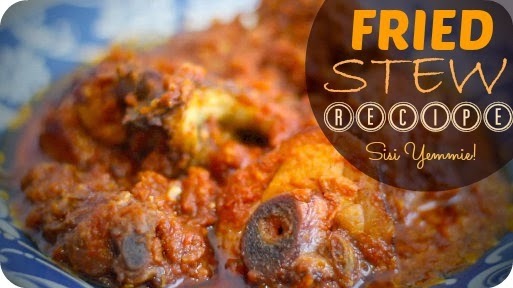 Everybody loves delicious stew. I even eat mine with Agege bread; That bread wey be like vita foam. Please try out this recipe and give me your feed back, I always look forward to that! 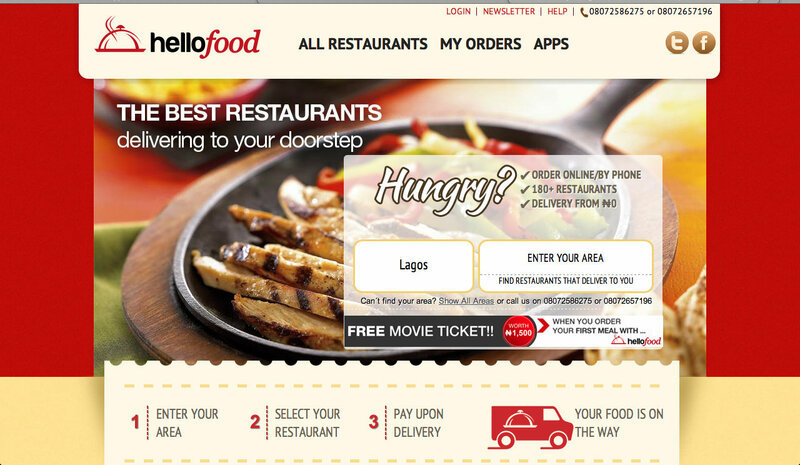 if you're too tired to cook you can always order meals from most fast food outlets in LAGOS and have them delivered to your doorstep by http://www.hellofood.com.ng (HELLOFOOD). How convenient is that???!!! Gosh I haven't made this type of stew in like forever...I sure miss it! Lol. I was warning against people like you! Thanks for watching! I'm inspired, making this tonight!!! This is just the way I cook my stew although I learnt some new things: frying with onions, putting the maggi in with the onions before frying the stew and sieving the tomatoes to remove excess water. Nice job! Did we share same mother? Cos you cook stew just like me. Ha ha ha really? Our moms have great recipes! o boy! gonna try it..
Sisi yemmie, My God will bless you and keep you for us. Thank you so much for sharing your delicious and wonderful recipes. You are the best dear!!!! How do you keep the stew from splashing heavily when frying it. All the time i try, i end up not completely frying because it will not only splash everywhere bot on me as well. I have tried medium heat - still turns out same. it looks soooo good. I have to try this method. 3 gbosa for u, lol, I just prepared an awesome meal tonight thanks to u. Different comments were coming in from different angles, dipo please ooo, don't finish us with this aroma, dipo here dipo there and to ice the cake, my fiancé was just blushing, she was like this aroma eh. She tastes it and was like WOW! Infact she's sleeping right now like a new born baby girl. Keep up 👆🏾 the good work. OMG! I just made this today and it was so delicious.... Thanks for sharing and God bless u.